Playing with Lego sets and watching his precision engineer father building, repairing and making things in his own company were the early sparks that lit Mr Toh Yong Cheng’s interest in the practical aspects of engineering. 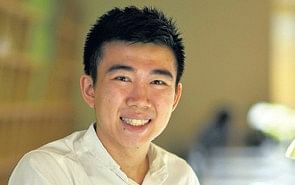 It was no surprise then that he eventually decided to pursue his undergraduate studies as part of the pioneer batch at the Singapore University of Technology and Design (SUTD). He chose information systems technology and design as his specialisation. The university offers four areas of specialisation known as “pillars”, including architecture and sustainable design, engineering systems and design, as well as engineering product development. The 26-year-old software engineer, who now works in global metasearch engine company Skyscanner, says: “I liked that SUTD married theory with practical application. Each module had an accompanying project that allowed me to apply what I had learnt. 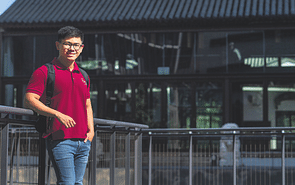 Mr Toh was a recipient of the SUTD Undergraduate Distinguished Scholarship, which fully covered his government-subsidised tuition fees and provided a $7,000 allowance per year. 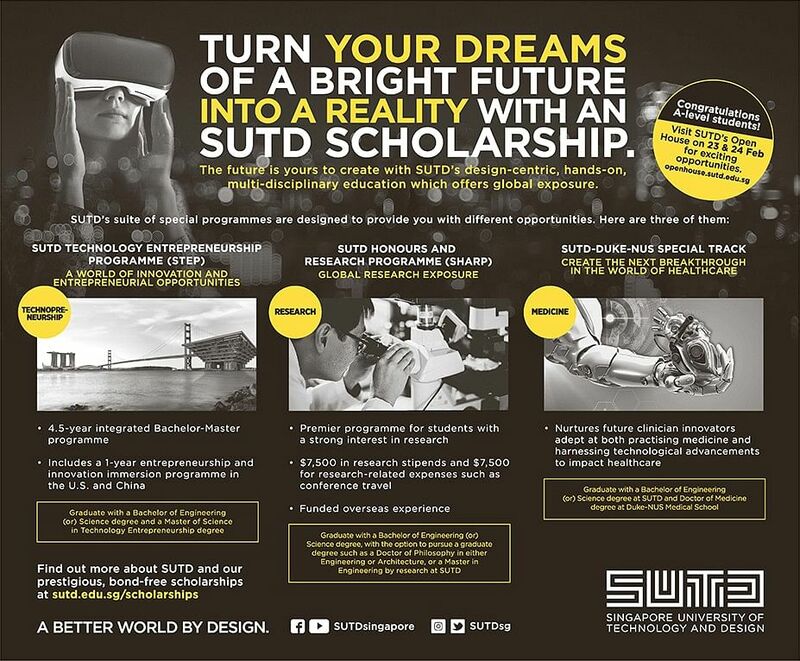 Since then, SUTD has continued to enhance its scholarships, such as those under the Global Leadership and Asian Leadership scholarship programmes, to provide recipients with more overseas and leadership opportunities. An avid digital product developer, Mr Toh enjoys creating platforms such as online guest registration service beourguest.co and social learning platform colab.sg. He counts his stints at Zhejiang University (ZJU) in China and the Massachusetts Institute of Technology (MIT) in the United States among the best experiences he had as a SUTD student. At ZJU, not only did he learn from postgraduate industrial designers how to solve problems using design thinking, he also interned with Chinese e-commerce conglomerate Alibaba in the user experience design department, working with his colleagues to develop social sharing, logistics and instalment payment concepts for the Brazilian market on its international platform AliExpress and presenting the ideas to senior management. Mr Toh says: “We had a mentor who taught us the ropes and critiqued our works. We felt we could make an impact with the concepts and ideas that we bring into the office every day. During his three weeks at MIT, Mr Toh attended classes on subjects as diverse as cross-cultural collaboration and biological origami, where he worked with regraduate- level students to come up with design concepts and prototypes based on a new technology of using humidity-sensitive cells that can actuate fabric or paper materials. This was part of SUTD’s Winter Independent Activities Period (IAP) programme, in which students can pursue their interests in any field with an overseas partner university during the December to January American winter semester. Mr Toh’s current job scope at Skyscanner includes developing features and creating scalable platforms for the company’s data products. He is also working on the company’s Travel Rankings product where real-time processed data is streamed to travel partners to inform them about their competitiveness. In the long run, he hopes to acquire enough experience and knowledge to mentor and guide others in a technical position. He says: “Engineering is always fun because we build something that impacts lives for the better.